You've heard about Mr. Whittaker's World Famous Chocolate Soda (Wodfamchocsod) for years in the amazing Adventures in Odyssey radio program. First mentioned in episode #79, Our Best Vacation Ever, this drink has been a staple around Whit's End ever since. As you probably know, the Wodfamchocsod is served at the Soda Shoppe at the Focus on the Family campus in Colorado Springs. Well now you can make your own at home! The Odyssey team released the recipe in the album liner notes of Album #51 Take It From The Top. We decided to share it with you since we have recently been enjoying sipping this delicious drink prior to recording sessions. So here you go! Enjoy! Combine the ice cream, soda water, and chocolate syrup in a blender. Mix until smooth. Pour into cups and top with whipped cream and drizzle a bit of chocolate syrup on the top. 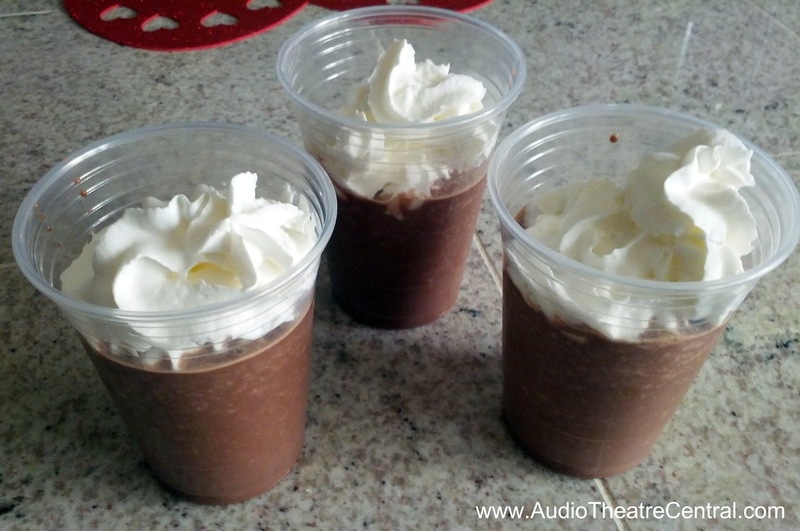 Send us a picture of you drinking your Wodfamchocsod to feedback@audiotheatrecentral.com! Or tweet it to us at twitter.com/ATCcast!